Hanif Kureishi, whose debut novel The Buddha of Suburbia won the Whitbread first novel prize, was speaking at the Independent Bath Literature festival on Sunday. He was made a professor at Kingston University last autumn, when he said it was " truly an exciting time to be a part of the creative writing department", but on Sunday Kureishi told the Bath audience that, when it came to his students, "it's probably 99.9 per cent who are not talented and the little bit that is left is talent". "A lot of my students just can't tell a story. They can write sentences but they don't know how to make a story go from there all the way through to the end without people dying of boredom in between. It's a difficult thing to do and it's a great skill to have. Can you teach that? I don't think you can," said Kureishi, according to the Independent, which sponsors the festival. He wouldn't, Kureishi said, according to the Independent, pay money to take an MA in creative writing himself. "No. I wouldn't do it like that. That would be madness. I would find one teacher who I thought would be really good for me," he told his audience. "It's not about the course. The whole thing with courses is that there are too many teachers on them, and most are going to teach you stuff that is a waste of time for you." With a vast range of creative writing courses on offer in the UK - including from the Guardian - Kureishi is not the only author to feel the same way. Novelist and former creative writing teacher Lucy Ellmann, while disagreeing with Kureishi that style is unimportant, nevertheless described creative writing as "the biggest con-job in academia", and pointed to the poet August Kleinzahler's comment in the Guardian that "It's terrible to lie to young people. And that's what it's about." And once you've done that, "what you need and deserve is individual help, as Hanif says," she said. "I think it's a real pity that thousands of people are studying this subject - and being taught by unqualified tutors, some of whom have never published a novel. And I can't stand it when authors announce they have a degree in creative writing. So what? They're a dime a dozen." But Jeanette Winterson, who teaches at Manchester University, disagreed with Kureishi. She told the Guardian: "My job is not to teach my MA students to write; my job is to explode language in their faces. To show them that writing is both bomb and bomb disposal – a necessary shattering of cliche and assumption, and a powerful defusing of the soul-destroying messages of modern life (that nothing matters, nothing changes, money is everything, etc). Writing is a state of being as well as an act of doing. My job is to alter their relationship with language. The rest is up to them." "Creative writing lessons can be very useful, just like music lessons can be useful. To say, as Hanif Kureishi did, that 99.9% of students are talentless is cruel and wrong. I believe that certain writers like to believe they arrived into the world with special, unteachable powers because it is good for the ego," said Haig. "Of course, it is always important to know your limitations. For instance, I could have 7,000 guitar lessons but I wouldn't be Hendrix, though I would be a lot better than I am now. Like most artforms writing is part instinct and part craft. The craft part is the part that can be taught, and that can make a crucial difference to lots of writers." His own first novel was read by Winterson, said Haig, "and she gave me advice that still helps me today. She told me to change 'epiphanic moment' to 'moment of epiphany', for instance, which is advice of infinite wisdom". "To say that creative writing courses are all useless is almost as silly as saying all editors are useless. Writers, of all levels, can benefit from other instructive voices," he said. "However, I do think some people will never be writers. Just like some people will never be architects or web designers. But good writing courses will help you work out if you are a writer or not." 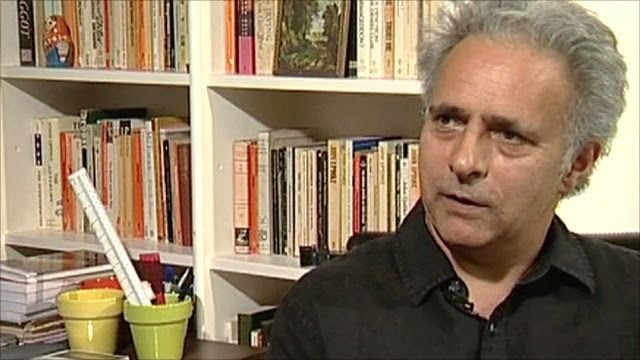 A spokesperson for Kingston University told the Independent that Kureishi's course was "extremely demanding and valuable", and that the author, playwright and screenwriter "is employed for his thought-provoking, inspirational contribution which he provides through supportive masterclasses, tutorials and PhD supervisions. Students consistently praise him and benefit from his advice."